Out on a Limb was started in 1999 by Jason Moore. Out on a Limb Tree Service is one of the premier tree trimming companies in Stuart. Our professional tree services include tree trimming, tree removal, pruning, shaping, thinning, stump grinding and much more. Our experienced team guarantee clean and prompt service. Out on a Limb Tree Service is a licensed and insured tree service company serving the Treasure Coast for both residential and commercial properties. We offer our variety of expertise and experience. 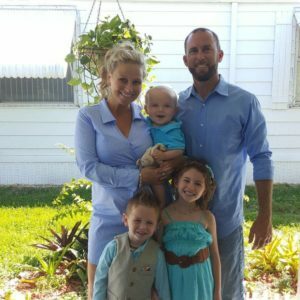 Jason lives in Stuart with his wife Jen, daughter Skyla, son Reef and expecting baby number 3 in October! With Jason’s knowledge, you can count on OUT ON A LIMB to take care of your trees at a reasonable price. Let us go out on a limb for you!